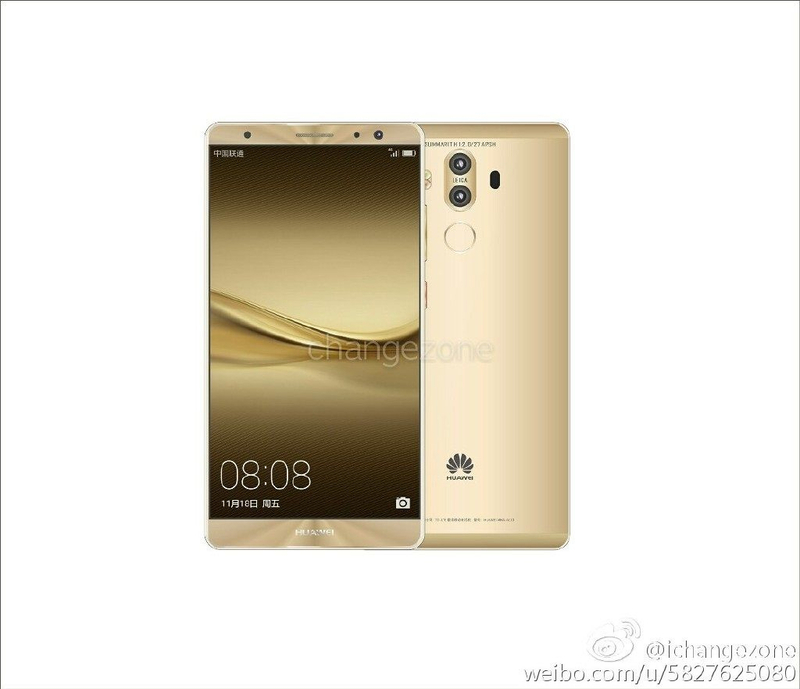 Images of Huawei's upcoming large-screened flagship, the Mate 9, have leaked on Chinese social network Weibo. The images show a large six-inch screen with bezels as slim as the Mate 8, with a new dual-camera system boasting Leica branding. A slide advertising the Mate 9 has also revealed the pricing tiers and color options for the device. The most expensive model will deliver a ludicrous 6 GB of RAM along with 256 GB of storage for 4,700 yuan ($705), while the middle model provides 4 GB of RAM and 128 GB of storage for 3,900 yuan ($585). The cheapest Mate 9 will set you back 3,200 yuan ($480) and pack 4 GB of RAM plus 64 GB of storage. Color options also appear to vary by tier, with the top-specced model coming in six colors, filtering down to three colors for the cheapest variant. The phone itself seems to use a metal body, so the colors are appropriate for a high-end metal design. The dual camera system on the rear is expected to use the same dual-12-megapixel sensor setup as on the Huawei P9, although the leaked images show an increase in aperture from f/2.2 to f/2.0. Internally, benchmarks have suggested the Mate 9 will include an all new Kirin 960 chipset featuring ARM's latest high performance CPU cores, the Cortex-A73. The Mate 8 launched in November last year, so it's only a matter of time before Huawei decides to official unveil the Mate 9. The phone is set to launch with Android 7.0 on board and a new version of the company's EMUI skin, making this the first major Huawei phone to launch with Noguat pre-installed.